The Progressive Curriculum Frameworks Mark VI: Victoria, Australia (2016/2017). Longing for the opportunity to be able to make more of a difference, be involved in an ever evolving line of work where innovative minds meet and work together to improve practices and outcomes, and actually enjoy working full-time, I left my corporate career in business and information technology and entered the world of teaching. When I started my university studies (Bachelor of Teaching @ The University of Melbourne), my state of Victoria was under the loom of curriculum redesign, a proposed movement from the Curriculum Standards Framework (CSF II) to the Victorian Essential Learning Standards (VELS). We were told that when we graduated that we would be entering schools as the new guard, graduates trained and primed to handle to requirements of the new curriculum in the first year of the introduction of VELS into schools. We kept one eye on CSF (as it was being used in schools throughout the period of our studies) and prepared to embrace VELS. However, there was no subject training students in the ability to readily read, analyse and identify progression in VELS, nor was there any mention of the word "sub-strands". We as student-teachers read VELS and when undertaking our school-based teaching rounds, planned lessons around VELS. VELS was presented in the form of large paragraphs, black and white text and without the presence of sub-strands or statement codes. Locate in multiple locations/documents the standards for the same area (e.g. Writing - pictured right. Either print both standards or view both standards using a computer's split screen function. Place the curriculum of two levels beside each other and try to identify the similarities and differences in amongst the paragraphs. Repeat the whole process for the Progression Points. Then commit the progression to memory for the next time it was needed, or face repeating the whole process over again! Teachers were busy enough teaching, correcting and planning. The process shouldn't of had to be like that at all. And the education departments in universities simply didn't teach subjects dedicated to reading, analysing, unpacking/decomposing, identifying progression/opportunities for differentiation and understanding VELS. Creation of the 'Progressive Curriculum Frameworks for VELS' (pictured below). student achievement against the curriculum. 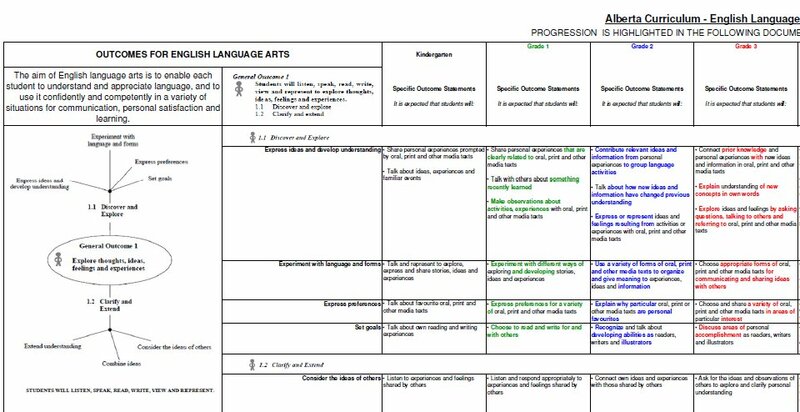 Progression between the standards and progression points could now be easily identified, as coloured and bold font indicated new words/statements and black font denoted that which had been mentioned in earlier areas of the curriculum. 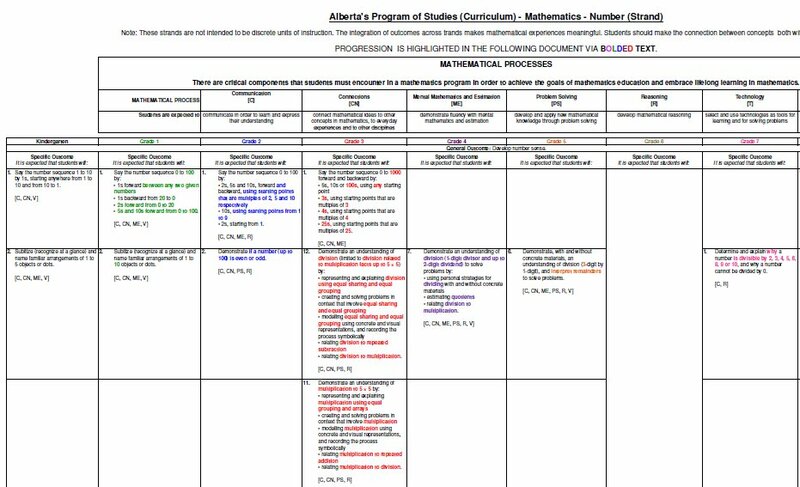 Assessment: For each student I printed the frameworks on A4 or A3 colour for all areas of English and Mathematics. I then highlighted the progression points and standards when a student's work met the standard or made notes indicating their current skills (e.g. B: Beginning, C: Consolidating, etc.). Reporting: The Progressive Curriculum Frameworks for each child could be quickly accessed to give their mark (i.e. using the recommendation that the student must cover 80% of the areas, 80% of the time to achieve a pass). Because of this "progressive" analysis, I was able to become an expert of the VELS curriculum, and could readily fire off a statement and what progression point or standard it belonged to. Parents commented on their ability to understand the curriculum and were readily able to see why I had assessed their children to be at progression level x and those students who asked to see their progression understood too. In 2012, I headed over to London (England) to study the impact of OFSTED on schools. During one of my roles working within schools, at the last minute I was asked to assist a full-time, graduate and internationally trained teacher assess their class' literacy skills. As England's curriculum documents were also presented chock full of paragraphs and black and white text, I had to apply a "progressive" curriculum analysis to the then English curriculum being used by schools in England. After teaching in England during 2012, I return to Australia to prepare for the 2013 academic year. Australia had just released the new national curriculum. Each state's/territory's curriculum authority/board of studies (whom have the legal responsibility of curriculum provision in their respective jurisdictions) had to implement the Australian Curriculum by various agreed start dates, whilst reserving the right to retain their own state priorities and approaches when it comes to curriculum provision and teaching and learning. Whilst I created The Progressive Curriculum Frameworks for the new Australian Curriculum, I also had to create them for AusVELS. My state, Victoria, serviced by the VCAA, chose to implement AusVELSAC , which contained approximately 99% of the Australian Curriculum with some minor modifications made to suit state priorities (Click here to learn exactly how AusVELS differs from the Australian Curriculum). To my surprise, the sub-strands that did not exist in the VELS curriculum were present in both the Australian and AusVELS curricula, and even some elaborations/explanations/interpretations on how the content could be taught were given in dot point form. However, once again, the curriculum was entirely composed of hundreds of pages of paragraphs, all typed in black and white (see image below). Repeat the whole process for the Content Descriptors. The creation of the 'Progressive Curriculum Frameworks for AusVELSAC' (pictured below). 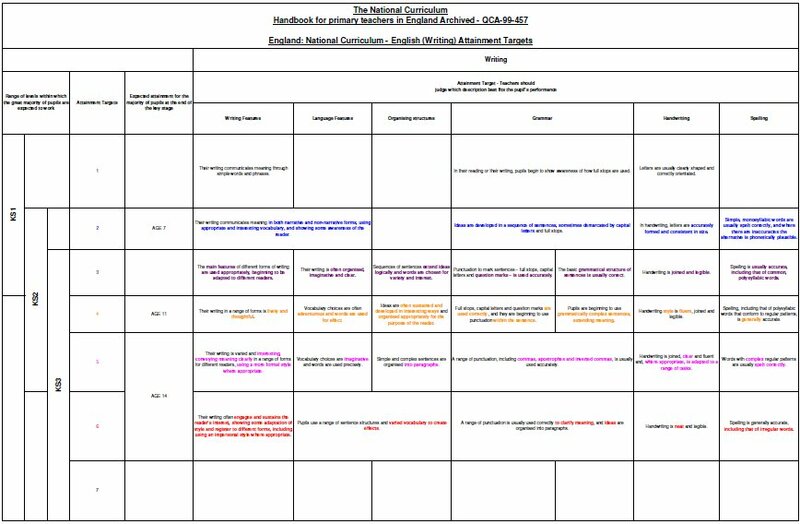 curriculum, and/or (iv) copy the statements into curriculum planning documents to both show and plan for differentiation. The content descriptors contain the cross-curriculum priorities (for both the Australian Curriculum and AusVELSAC) and general capabilities (Australian Curriculum only) as denoted by the relevant icons. Essentially, reading each 5-8 page Progressive Curriculum Framework PDF reduces the need for teachers to read, re-read and compare each sentence and every word in the Australian Curriculum or AusVELSAC documents, which normally consist of 40+ pages. 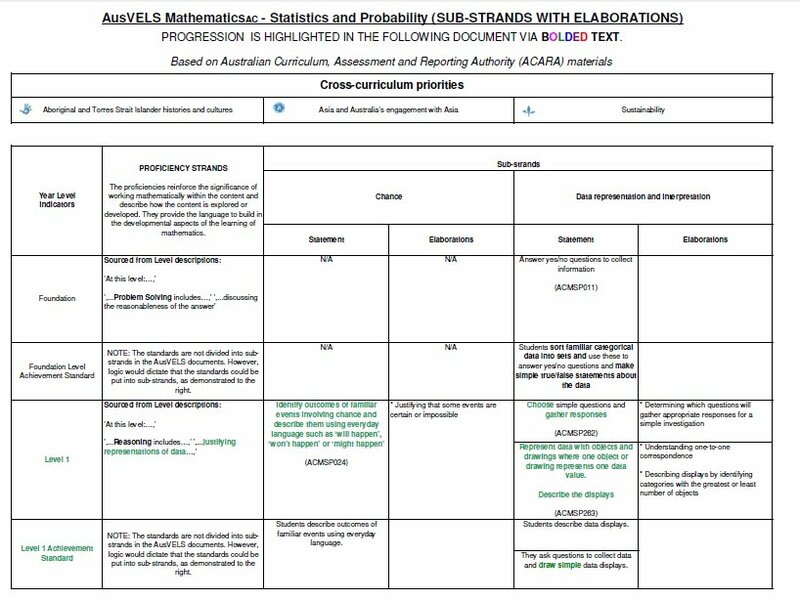 Below: A screenshot of The Progressive Curriculum Framework for AusVELS Mathematics AC - Statistics & Probability (click on the image to download the full/bigger version of the framework). Note the bold words indicate progression/new statements. Coloured font represents each Year level. 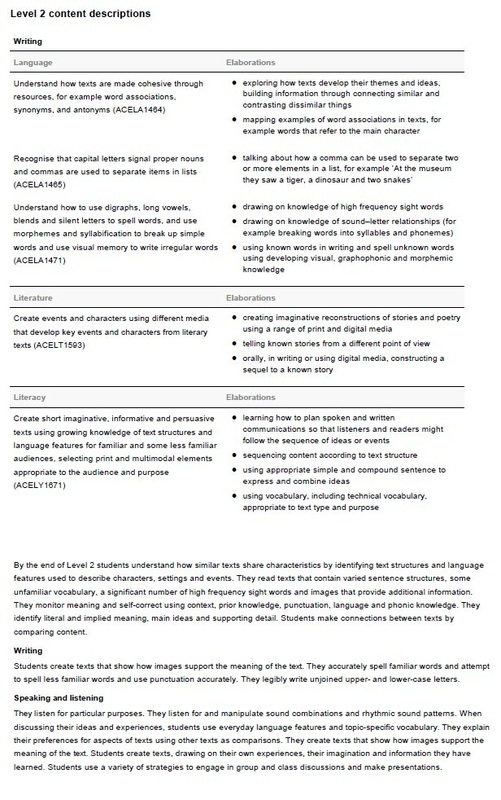 Below: A screenshot of The Progressive Curriculum Framework for AusVELS Writing (click on the image to download the full/bigger version of the framework). Note in Level 2 as denoted by bolded & coloured font: the introduction of four new text types, an additional audience and that punctuation must now be used accurately. Used by senior years students (Years 4-6) in the form of progressive capacity matrices (see here) and for delivering self-paced independent lessons and differentiated learning scenarios (see ICT Excellence in schools). Educators can use The Progressive Curriculum Frameworks in a variety of ways, including clearly demonstrating differentiation in planning documents (pictured below). Access the relevant Progressive Curriculum Frameworks from the portals: The Australian Curriculum (ACT, NT, QLD, SA, TAS & WA) or Victoria. After visiting Canada in 2013 and then discovering some wonderful work in the area of Mathematics and Science happening in Alberta (Alberta is recognized worldwide as a leader in the development of quality curriculum), I set aside 2014 to travel back to Canada to gain first-hand experience in observing and working within schools in Alberta. Alberta's Curriculum/Program of Study is derived from Western and Northern Canadian Protocol For Collaboration in Basic Education (the Common Curriculum Framework). The Mathematics component slightly differs from that of the WNCP (click here to discover the differences). 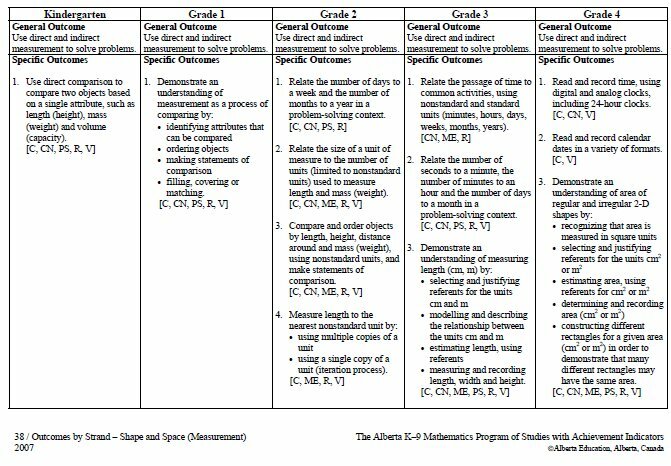 It was also heartening to see that approximately 70% of the Mathematics Specific Outcomes are aligned so that on the most part, a statement relating to the same or similar mathematical area can be found in the preceding or following Grade. The introduction of how a progressive analysis was applied to Alberta's Program of Studies and how this analysis technique could then be freely by applied by anyone to any national or provincial curricula. Specialist teachers in secondary school scenarios could use a modified approach to using colour to identifying progression/differentiation based on the approach that I had used when analysing Australia's Science (P1, P2, P3), History, Geography, Digital Technologies (ICT), Design and Technologies. Business & Economics and Civics & Citizenship curricula. The AusVELS Curriculum (2013-2016) has now been surpassed by the implementation of the Victorian Curriculum F-10 (the final iteration of AusVELS). Victorian schools must transition to using the Victorian Curriculum by 2017. The Progressive Curriculum Frameworks for the Victorian Curriculum have been released for the learning areas of English and Mathematics, with the other learning areas following soon. The Progressive Curriculum Frameworks for the Victorian Curriculum can be accessed here. Note: The above Creative Commons License only applies to the typed content on this page and does not apply to any text or images contained within Alberta's Program of Studies or England's curriculum (which are both protected under different copyright laws).